The New Earth Frequency Update is a channeled message from the 144th dimension of Light representing the Creative Source of Oneness. The Unified Whole Command represents a triple flame consciousness of Master Thoth, The Great Divine Director, and Master Einstein. They are the overseeing the energies of Oneness as all souls, Light Beings, of all dimensions step into the Oneness that we all reside within. Blessings to each of you on this fine moment of our creation together. We are the Unified Whole Command of Master Thoth, The Great Divine Director, and Master Einstein. The creative process that is occurring presently is to allow the increased elements that have been lost through the eons of time within this planet to be fully accepted by all of humanity. What happens through this process is that there is great change to be felt, experienced, and seen through the eyes of the many. As each individual self makes up the whole essence of human consciousness, each of those souls has a major part in the transitions within the Earth. It is important that everyone has a purpose and a reason of why they react as they do, what they do with those reactions, and how it is interpreted within their human and spiritual consciousness. Each of you must understand that every person within the planet plays this role, as they seem fit to do so by their previous ways of doing things. It is not until a person “wakes up” so to speak that they see the way they have been feeling and acting is truly not part of their Divine Purpose. This is a question that is happening at this time as the light infractions within the earth are changing greatly and if an individual does not adhere to those light elements within their life in a positive manner, than catastrophe will result. Great changes are coming and it is up to each individual soul how they are going to incorporate the incoming energies. The planet is moving quickly into its transition of light. It has been doing so for quite some time. The foundation was set in the early 1900’s with information being revealed through many texts of work. Those souls that brought that information forward truly are the pioneers of this planet for awakening. You see each of us were together during the Lemurian and Atlantean times. Those knowledges were lost with the sinking of those continents so the planet had to be regenerated in a new and different way than it had been existing previously. You would say that in those aftershock moments Gaia went into the existence of raw energy. Everything had to be restarted and learned in a completely different way. Many lifetimes ensued with great traumatic events as souls were fighting for what they believed in. The entrance-way of the non-christed beings from Atlantis and Lemuria caused the prior belief systems of the earth to be sacrificed while these alternate understandings became very commonplace in the renewal of the earth. So the lifetimes upon lifetimes with war encasing the planet, all were part of the fighting of souls against each other. It has continued for many eons of time as cities around the world were destroyed with greed and lack of faith from the Source of Oneness. It has continued for such a long time but within the changes that have been felt since 2012 more light infractions have been placed within the earth. This means that more souls in the human form are looking at life quite differently than they did before. A remembrance is happening within human consciousness to assist Gaia to continue her transition. She is moving out of darkness and into the light in a very slow process. 2015 has brought this light more fully into the planetary structure. Her foundation is still very fragile and cracked in way too many spaces, but she sees that there is progress even if it is minuet. There is hope where before the faith had been diminished. More individuals are awakening to feeling these energies in a new and balanced manner. But, yet, there is still great skepticism and lack of faith that it can survive. Many think that there is no change and then others are so hopeful that they hold it within their hearts very deeply. Change is inevitable and this month brings more of what has already been experienced but within the power that is greatly magnetized in various ways. 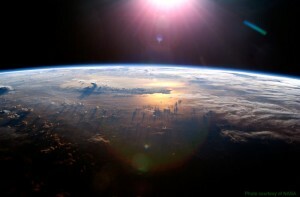 It was decided through the many Universal structures that Earth should be a mirror for other planets to follow suit. It was believed from the Source of Light that the inhabitants of the planet would be able to walk through many trials of darkness in order to find their highest hopes to be realized. So the pressure was put upon Gaia and each of you to uphold the highest level of integrity to move through the process of the Rebirth. Gaia is now coming very slowly out of the darkness but many areas of her existence are still encased within the old paradigms that need to be regenerated. The energetic exchanges throughout this year have been a step-by-step process of allowing the light to be infracted in many different ways. It started out with regenerating the energies and very slowly went deeper into the dark places to allow the light to shine even brighter. The change of the seasons brought more of the same into the planet and each of you. The Solstice in June proved to be a stepping ground to allow the angelic essence to become more of a reality within the planetary existence as had been in previous times. It was just a very small remembrance of the Lemurian and Atlantean way of life. It has continued through the months to allow the infractions of the angelic self to be felt more within each human field. The point being is that not all humans feel this change. It is still a very small minority of individuals that can access the higher part of their existence. The planet is still in deep duality and holding unto the 4th dimensional relationship that pertains to the movement of dark timelines that are continually being ignited. The sad part is that when the energetic exchange is so strong individuals that cannot get past their own involvement of the self is when they are challenged the most. So this causes the planetary system to feel these reactions through all of the thought-forms and lower vibrations. What happens through this evolving energy is that the power of the light infractions are very intensified in order to assist each individual upon the planet to open up their energies unto a higher presence within themselves. Sometimes if feels like a loosing battle as many individuals do not see the picture that is in front of them and all they have to do is to receive it; that is when we step in to assist. We are at a juncture of time in which the accelerations that are occurring are deepening within the core of Gaia to assist all of humanity. The reason we share this information is to help each of you understand why you may be feeling the intensity of the energies much deeper than you realize. As each planetary transition occurs, it brings those elements that have been out of balance to start to move in a forward movement of Divine Love and Divine Power. The elements that do not fall into that category then must go through a renewal process in which the old vibrations must go into the light. Now that is not easy, as most of you realize, because it causes the elements that have molded the old self to be ripped apart in many different ways. Then, the regeneration process has to begin. With the incoming energies of the Solar Angels since the June Solstice, many individuals have not accepted that open doorway, so the Solar Angels do not have the capability to assist that particular soul within the physical arena. They help through the Higher Self and the Dream State, but it is not as focalized as having it within the physical self. So that causes those thought forms that do not reflect the angelic self to be put out into the full consciousness of the Earth and beyond. This means it makes it more challenging for those that are aware of this essence and want to bring it forward on a deeper level. So this is why August may have been very challenging for you. The energies surrounding the planet can be very dualistic which meant that each of you had to work harder to find your core essence of love. You can do it, but the work becomes more challenging for each soul trying to access the angelic essence. Now that September has arrived and you are in the midst of more challenges; first, with the partial Solar Eclipse of the New Moon and then the Equinox, followed by the Lunar Eclipse of the Full Moon. We have to remember also that the Super Moon in August started these energies to be commanded in a very high degree of acceleration and will continue through the next Super Moon of September. Just as all those unawakened individuals are challenged to stay in their duality and not accept their higher essence, each of you within the awakened level are struggling to stay within your Higher Essence to combat the lower dualities within your Etheric body. This process brings forth the element of tug and war within the self. As the energies shift this month, the power of your struggles should be greatly minimized as long as you continue to adhere to the Higher Essence you have become. It is a time of great lessons and understanding how to combat the lower forces that have ensued within you as a soul from lifetime to lifetime. ‘The frequencies of these elements is beyond what the human mind can fathom as it has never been felt or done before. It has only been talked about”. As the partial Solar Eclipse and New Moon brought the frequencies of more light infractions into each of you, it becomes a testing ground of what you can hold within your physical self. It is important through these phases to realize that the power of your Soul’s Essence is beyond your comprehension and all you have to do is stay within your Higher Self’s energy as much as possible. It is the one process that is going to help you get through these hurdles. If you can imagine being in space as a beautiful Being of Light; you are then bombarded by this ball of energy that is so amazing that your eyes cannot hold the picture. The light is so bright. You then hold out your arms and receive this Light Infraction that holds many colors upon colors. As you do this, you command through your I AM Presence to allow the existence of this light to change everything in your world that does not fit. This form of light will transform anything into its own power. You don’t have to do anything but just receive it. Then, all of a sudden you felt little balls of darkness filled with negative thought forms circling around you. You expand the light you just experienced and hold it deeply within your Heart Center. It expands in and around you. You may feel the lower energies but they don’t interact with you as their level is much lower than what you have just received. This is allowing the Light Infraction to fully be integrated within you as you become One with it. There is no separation so anything below this field of Light cannot penetrate within you. This is exactly the process that each of you needs to bring forth during these times of great changes. The Equinox is the next acceleration which is a huge element. It occurs on the 23rd of September and brings with it Great Enlightenment of the Self. It represents facing your darkness and other elements around you, but being at peace with it. It is a step into the period of harvesting what you have learning and put it into practice. If you have had difficulty with financial stability in the past couple of months, please know that you are not alone. Sometimes in order to find the silver lining you must surrender to the process of the old elements. This means the 3rd dimensional world and how you interact within that world. The Equinox brings forth a new and highly evolved energetic exchange. “Well, Mercury Retrograde is occurring right now and how can I be abundant when that energy is occurring”. Let me tell you that if you learn to rise above the energies of the planetary systems around you, then you will not be affected adversely by their changes, but will actually benefit from those energies. Remember, we shared that Earth is the poster child for 5th dimensional energies. Mercury represents the 3rd dimensional reflection. So increasing your consciousness beyond the 3rd and 4th dimension actually means you will not have the same experiences as others. Then the Full Moon of the 27th/28th of September occurs with a Lunar Eclipse. This is the powerhouse of energy that is going to assist you to move out of your present circumstances into the full existence that you desire within you. It represents moving further into your higher essence yet again and opens up the doorway to be a Trailblazer of Light within you. It will be another powerful Super Moon. Each of these activations is occurring to bring more light into the planet and each of you. It is up to you individually what you do with them. As they occur, more purging will happen within the emotions and thoughts but also through the physical body. It is a time when there will be more activation of the cellular structure in order to hold these light infractions on a physical basis. Be strong in what you are experiencing; know that this is just a portion of your destiny. More is going to come in various ways. But each moment that you are able to stabilize the energy within you, gives you the ability to build a better foundation. Take time in the silence to receive the energies, to allow them to blend within your full body system, to assist you in elements that need addressing, and then you can hold onto them within your full structure so much easier*. Yes, changes will happen. Darkness will try to come but the more we work we do together, the less these traumatic events will occur. People will change, hopefully for the better. Some will choose to leave. The transitions of light are extremely powerful and magnetic. It is a magical time and sometimes magic is not all about the light. All will be revealed within each of you so take time to reflect in the mirror that is in front of you. It is the purpose of each of us being in full Oneness that is the most important aspect. P.S. : Prepare yourself during these powerful accelerations by joining Walking Terra Christa for a first time event – An ASCENSION CLINIC to help you in TRANSCENDING these energies with Dr. Lorphan of the Great White Lodge of Sirius. • The Sacred Festival of Lights Ceremony with Master Djwhal Khul for the Full Moon: Saturday, September 26th at 10 AM Pacific (free open public teaching). ©2012-2015 Walking Terra Christa Academy of New Earth Mastery. We have now arrived into the last of the ascension festivals, known as Humanity or Goodwill. It is also considered World Invocation Day which takes place on June 2, 2015 during the Gemini Full Moon. It has been one month since the Wesak Moon, which has brought to us the effects of the changes we need to incur from the acceleration we received during the Wesak energies. We were told that the power of these energies in 2015 could not be matched by any other year; I believe this is wholeheartedly true for every person that is traveling the Mastery Pathway. It is at this time that we take the energies that we experienced and allow them to expand throughout the planet so humanity can also benefit by our increased awareness of our-self. The Wesak Festival is a time in which we accept our role as an Initiate upon the pathway of Mastery with great respect and honor as we walk with the many masters of Shamballa. The energetic exchange of this Wesak took each individual deeper into their inner core to pull out elements that are no longer working in order to rise to the next level of ascension. As this occurs, we feel great exhilaration at first, but then comes the deep work of seeing our truths appear within our consciousness. This journey is one of great reflection, introspection, and deep admiration for the ones that have walked before us. We are able to walk through new doorways that were not possible previously. This happens because we are supported and loved by the Spiritual Brotherhood and Sisterhood of Light. We now become one of them in training for the New Earth. Now it is our turn, with the Festival of Humanity to share and connect with our brothers and sisters in the light to expand the frequencies we have been gifted to receive. We now Invocate with each other to allow the Divine Plan of Restoring the Plan for Earth to others. It is a very powerful festival as it brings forth a sense of unity and cooperation for the greater whole. This full moon is within the sign of Sagittarius that represents Sensitivity, Optimism, a Magical New Beginning in which the Veils of Light and Dark are very thin. It is an opportunity to step into a new world by accessing the parts of ours-elves to become whole. It is within the Sun Sign of Gemini that can be the opposite energy of being very dualistic but has a positive focus within the aspects of Learning, Teaching, and Moving Forward. This moon represents a deep healing process for every individual upon the earth. It is no mistake that we are experiencing the effects of Mercury Retrograde as it takes us more into a “feeling” space rather than “thinking” so much. This allows our Feminine Divine to become more active in the role of Love while allowing the Masculine Divine to bring forth the Will within each of us. Each of these components brings forth our Divine Power. All of these elements are necessary for the transformation of the old earth into the new. We cannot expect this world to change until we change ourselves through the process. We are here as the initiates to become the masters for the New Earth. As we expand these energies around us, others will be affected. The power of Invocation is so strong at this time that each soul upon this earth will feel the vibration energies flow through their being from their higher self and then into their physical creation. It is my pleasure to take this time to connect with each of you personally through this venue. We, of the Brotherhood and Sisterhood of White Light, are extremely happy to experience this next festival with each of you. World Invocation Day or the Festival of Humanity/Goodwill represents exactly what the title expresses. It is time at this moment to reflect on what you have learned and experienced by the previous two festivals, that being The Christ, and Wesak. The transformation that occurs during this time is one that is beyond the consciousness of the physical self. Only, you, as the Initiate can find within yourself the changes that have taken place. We, as the ascended masters can assist you to understand it, but the challenge for each of you presently is to truly look at who you are now within yourself. Your physical world has not changed, but the inner-workings of your consciousness will adjust to your spiritual experiences. It is a blessing to come to this point of our creation as 2015 has represented the ability to be One Within Oneself in order to share it with others. Wesak gave us the greatest opportunity to expand our essences together so that humanity will feel it’s beautiful light within this amazing earth, we call GAIA. Each of you has changed in some way; you have experienced more elements from your Soul Body (the Etheric Level) so that the changes can be experienced. The purging of the old self is a continual process but during this time of the festivals it becomes increased through the potentiality of the Light infusing within the Darkness. So as each of you has experienced, the darkness that you have held in your Etheric Self that needs to surface in order for the transition of more light infractions to be placed upon you. It is part of the process. Now what happens is the transformation that you have received is expanded outwards into your world, through your Field of Light so that others can experience what you now create within your world. It is an ongoing process of allowing the particle of light that you now hold within you to be sent out around you. It will assist you physically through your four-body system (of the physical, etheric, emotional, and mental) to help your physical existence become an easier process. If you are having a challenging time of accepting what you need to transform, then the process of going deeper into your core being needs to continue. It depends how far you are along your pathway, what you have learned through the process, and allowing yourself to ground the energies within you. It is a brand new experience that you are feeling. Your physical body never imagined you could sense a new world changing within you and around you. But yet, you are doing it with the Grace and Ease of a beautiful angel enfolding his/her wings into your physical vehicle. At first, the landing can be very cumbersome. Sometimes you may fall and other times, you will stand tall. It is a huge process of awakening that you are going through at this present time. No matter what stage you feel you are experiencing, the Festival of Humanity is a time to flourish with what you have accepted into your consciousness. Let it be of the physical during this time. Embracing what you do not know is the best way to honor your Spiritual Self. The energies during this moon cycle that are represented by the Rays of God bring forth the ability to expand upon what you have received. It is for this reason that we work first within the essence of the Will and Power of God, represented by the Blue Flame and the Masculine Divine. We, then, call upon the Love of God through Creative Actualization with the Pink Flame and the Feminine Divine. These two rays are very important. The next phase is to connect with the Love and Wisdom of the Golden Yellow, which in the higher frequency represents the Power of God. These first three flames are essentially important to utilize within the structure of the Heart Center, of Divine Love. But then, we must always access the frequency of Divine Power within the Solar Plexus. This takes us into a journey of the Flame of Ruby Red with Gold of Inner Devotion. These flames are very prevalent at this time as they will assist each individual to find their Divine Love and Divine Power with the pathway that they have chosen presently. This means that to access these four rays will assist in grounding the energies, allowing for the purging of elements while expanding the frequency of Light that each of you are beyond your four-body system. The other three rays are very powerful also, but not as prevalent for expanding the entire field of light into GAIA’s crystalline structure for the Festival of Humanity. Work with the Crystalline Flame to find your grounding cord but also removing the elements that do not belong within your Root Chakra that represents Harmony & Balance through Conflict; working with the Green/Gold/White Flame of the Science of God represents your wisdom and knowledge along with allowing the Harmony of the Spheres to take you from one space unto another; and of course, the Violet/Purple Flame represents the Alchemy of your Soul. Everyone works with this ray in many ways but the most important element is to allow it to come within you at the very end. It will seal up all the other energies you are experiencing. I share all of this knowledge because I want you to consider your own experiences presently. Then, think about every other soul on this planet that does not know how to heal their inner wounds. Just by allowing the essences of your Divine Love and Power to be infused within you is helping so many others through the frequency of Light. It is my pleasure to walk with each of you through this experience that we share together. Walking Terra Christa is holding an OPEN TELECALL for a special ceremony for the Festival of Humanity on Monday, June 1, 2015 at 4:30 PM Pacific. You may join this call by registering via the link above. If you presently have participated in our Free Calls, the teleconference number is the same. There is no need to register again. ©2012-2015 Walking Terra Christa Academy of New Earth Mastery http://walkingterrachrista.com/ by Rev. Christine Meleriessee and Rev. J. Michael Hayden (Ara). Permission to repost this information electronically on your non-commercial website or blog is granted as long as you include this copyright statement and the following referral links. Use for commercial websites, blogs and printed or written reproduction requires written permission. The Wesak Festival of 2015 is now upon us. On May 3rd, 2015 we will be experiencing the full effects of this enormous event as we have been preparing spiritually as Initiates on the Pathway of Mastery for the past month. Wesak represents a time of great renewal and growth as the energetic exchange within the planet accelerates creating a “Force of Enlightenment”. We are at a huge crossroads within this year as the frequencies of Light that represent the Wesak Moon will bring forth great change into the hearts and minds of all people around the planet. It is a time in which the Ascended Masters and all Initiates gather together in Spirit within Shamballa to celebrate the ascension of Lord Buddha, our Planetary Logos. During these powerful moments all Initiates, Ascended Masters, and Light Beings will step into a new existence within their consciousness and world. It is considered the most powerful energy within the planet. 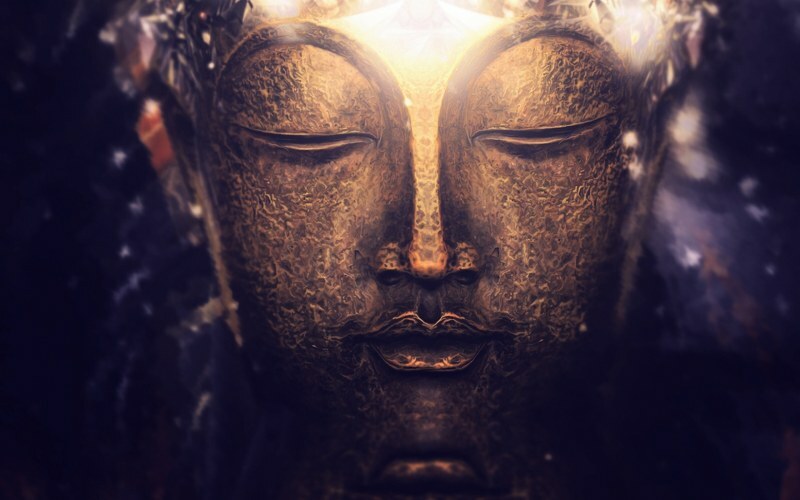 2015 Wesak represents Strength, Peace, and Love for each person inhabited upon Gaia’s planet which will allow the accessibility of Accepting Freedom Within. This means that all of the preparation that we have done throughout the year brings us to a culmination of energies to be created within Shamballa that will be reverberated throughout the planet. Last month we experience the Festival of the Christ that meant in the past 30 days we have been “resurrecting” all elements that cannot exist within the Wesak energies as each person is guided to step into a higher part of their consciousness; whether they are aware of these energies physically or not is their choice. As an Initiate, it is a choice to celebrate the frequencies of light through coming together with others and connecting with the Spiritual Hierarchy of the God Force, Divine Mother and Father God within the Unified Whole Command in Oneness. We, at Walking Terra Christa, truly look forward to this time each year, as it is a powerful celebration of each person’s spirit becoming more manifest within the physical world. It is helping us to acknowledge the work we have done to get to this space and time while allowing us to ground the energies within GAIA so that we will walk into the New Earth. What happens through this process for an individual that connects to the Ceremonial Magic that is occurring? Individuals will feel it differently depending upon their own growth cycle, their initiation pathway, and how they integrate it within their physical consciousness. The reasons behind this event are guided through the entire God Force; the purpose is represented within the concept of stimulating the Spirit of Love, Brotherhood, and Goodwill. It allows each Initiate to fuse together the essence of Goodwill with each other, which represents the Oneness in a responsive and integrated circle of light. Lastly, the invocations that are stated allow for a response from the Cosmic Beings of Light as we work together cohesively to attain the goals desired – Creating the New Earth. It is a time in which our accelerations will increase substantially. The entire God Force is readying for this magnificent event just as each of us on Earth are doing the same. It is a time when each soul rises to a new way of existence within their consciousness and their lives. The essence of Buddha represents the Wisdom of God. The Heart of God is very prevalent for Wesak providing Divine Understanding that can reach individuals with the love and service to their fellowman. The Ray of Love and Wisdom is then ignited representing the expression of Illumination of the Higher Mind. The ray essences that are prevalent during Wesak are represented within the Blue Flame of the Will of God with the Pink Flame of the Love of God, and the Gold representing the Power all igniting the Three-Fold Flame Within each individual. Walking Terra Christa is holding a special ceremony on May 3rd, 2015 to connect with Lord Buddha and the Ascended Masters, with Divine Mother and Father God, and the Unified Whole Command within Oneness. You may attend this event from your home location via our teleconferencing system, Freedom Within (please click the link to read the details of this event). If you are interested in receiving the recordings from our Three-Day Retreat in Mt. Shasta, check out the details and specials we are offering via http://walkingterrachrista.com/retreat-journey/distance-learning/. We are requiring a Spiritual Donation of at least $11 for this Wesak Event. In order for each individual to receive the full potential of this connection with the God Force giving a donation is represented by the Universal Law of Manifestation. Each individual will receive a higher potential of acceleration by showing his or her dedication to the pathway. It is with great consideration that we have come to this decision as we always share our full moon meditations freely to the public. Master Djwhal Khul has provided a special message on the subject of Wesak and the importance of Service, An Initiate’s Responsibility for Wesak 2015, http://walkingterrachrista.com/wesak/initiates-responsibility-wesak-2015/. Blessings for an amazing Wesak experience.